This condo is conveniently located in the North West Neighborhood of Baranow, close to major shopping amenities at Oxford Park Centre and North City Centre, and not to mention various schools and recreation facilities! 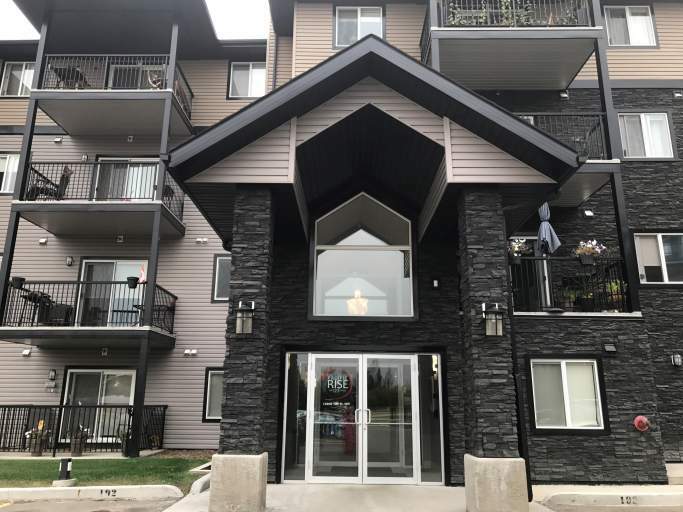 The building was constructed in 2015, and features gorgeous laminate flooring and large windows that fill the living room and kitchen with light. The stunning kitchen features stylish dark cupboards with light counter tops, stainless steel appliances that include fridge, stove, microwave and even a dishwasher! The extended counter is the perfect place for a breakfast bar!You'll never run out of room with this large kitchen space! The kitchen opens to the large living room area and from there into the balcony. There are two large bedrooms, and a den, perfect for a small office or storage space. Not to mention there are two full baths!! Plus the unit features a large laundry area, complete with your own laundry machines! No more sharing!! One parking stall is included with the unit.